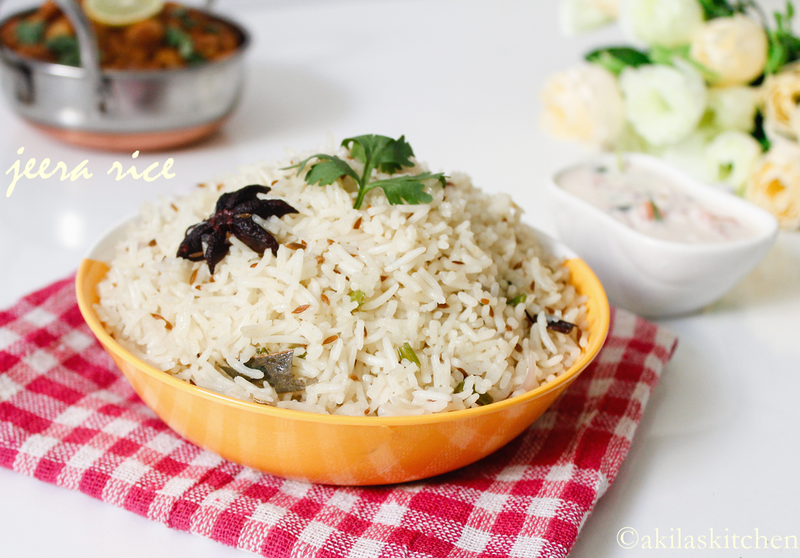 Jeera rice / Jeera pulao / Cumin Rice is one of the easy rice recipe and can be make in a jiffy. 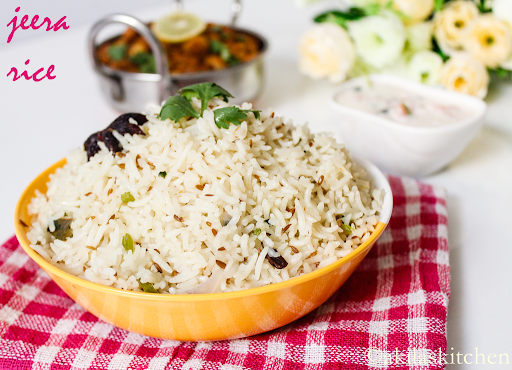 Any side dish can go well with this jeera rice. 1. Soak the basmati rice for 20 to 30 min in water. 2. Mean while heat oil and add the fennel seeds, cinnamon stick, bay leaves and star anise and fry for a while. 3. Add the jeera and fry. Add in the chopped onions, green chillies and coriander leaves. 4. Add the ghee and saute the onion well. Add the water and allow to boil. 5. Add the soaked rice and let it cook for 10 min in sim. 6. Give a stir and serve with raita or any side dish. I had it with lima beans curry which I will be posting soon. rice looks yummy!! 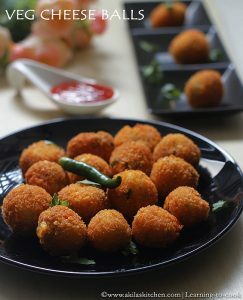 i too make it in almost similar way..
Looks delicious.. my mom makes it slightly different, we don't use anise. Your version looks fantastic, saunf is a nice touch. Our fav too. The fragrance of cumin and mint leaves are so awesome. 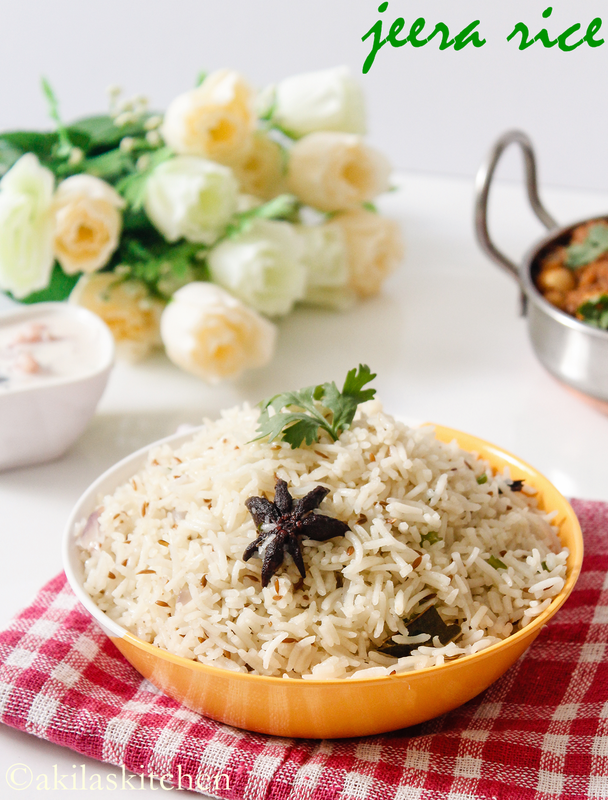 Simple but yet a flavourful rice.. With a paneer gravy,i can enjoy this rice thoroughly. It's a beautiful photo and delicious looking recipe, Akila! I had to *google* jeera, as I'd never heard of it – am I right in thinking that it's cumin? Delicious and flavorful rice.. Great to have with spicy gravy.. This jeera rice is simply superb…look and presentation is wonderful…what was your side buddy? lovely rice,nice step by step,perfect for rich gravies.